I’ve always wondered what exactly is French cuisine and what differentiates it from Italian cuisine as wine and cheese form a major part of both styles and both have a very rich and subtle pallet. After a little research, it turns out that during medieval times French cuisine was highly influenced by Italian cuisine and as centuries went by, it slowly got rid of its italian influence and developed its own unique style. 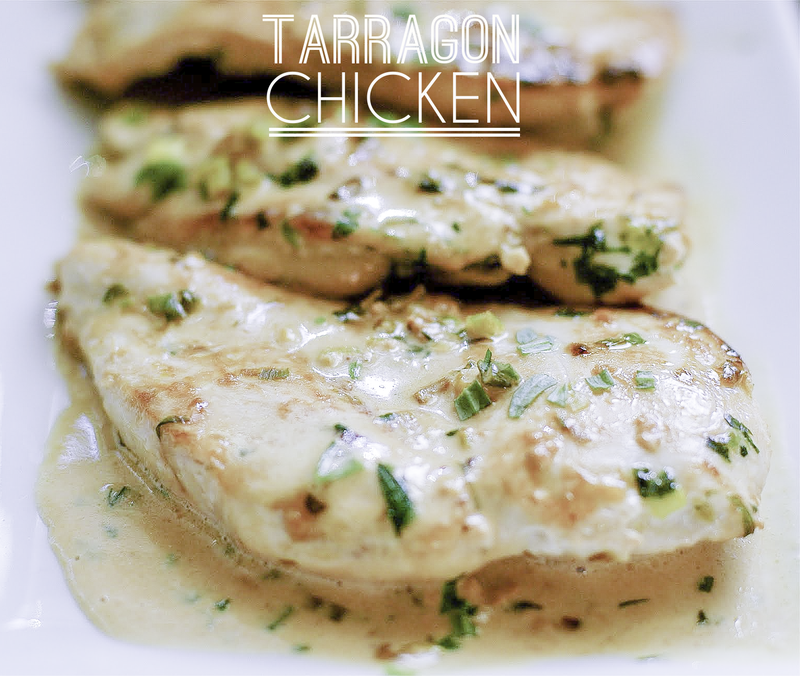 I wanted to try one of the classic french dishes called Poulet a L’estragon which is Chicken with Tarragon and White Wine sauce. Put the chicken fillets into the pan, curved side down, and cook for 5 minutes, watching the scallions don’t burn. If they look like they’re beginning to, scrape them from the pan and let them sit on the chicken pieces. Turn over the breasts, and add the white wine (or vermouth). Let the wine bubble up, then add the salt. Put the lid on, turn the heat down low and leave it to simmer gently for 10 minutes. Check the chicken is cooked through by making a small cut into the thickest part and ensuring the juices run clear – if not, simmer for a few minutes longer and check again. This entry was posted in FOOD, Recipes, Sauces, Uncategorized and tagged chicken, cream, french, gravy, herb chicken, herbs, quick and easy, quick meal, sauce, tarragon, wine. Bookmark the permalink.